Spiderman Man Of Business T-Shirt - This is an officially licensed superhero tee shirt from Marvel Comics that is made of preshrunk cotton and comes in adult sizes only. 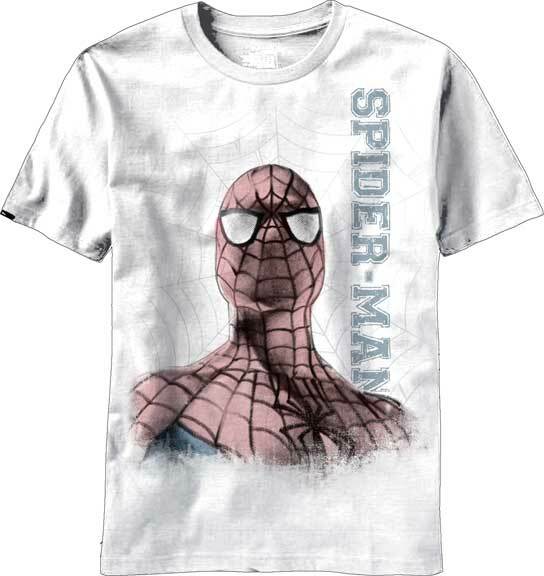 This Spiderman tee shirt features the a headshot of Spiderman with the web and says spider man in grey ink behind him. This makes a great gift for any Spiderman fan. Our Spiderman tee shirts not only look and feel great, but these tees are made to last. If you have questions regarding our Spiderman Business Spider t-shirt, please email us with the product name and number.